Both girls have packed lunches every day except one when they’re allowed to choose a hot school meal. We did let them have school meals all the time at one point but it turns out both of them prefer to take a packed lunch! Ant makes the packed lunches in the evening and I know he’s having the same trouble I used to have when making the lunches and that’s to make them nutritious and interesting so that the girls don’t get bored. They tend to have a sandwich, some tomatoes and cucumber, a small cake and occasionally, a packet of crisps. 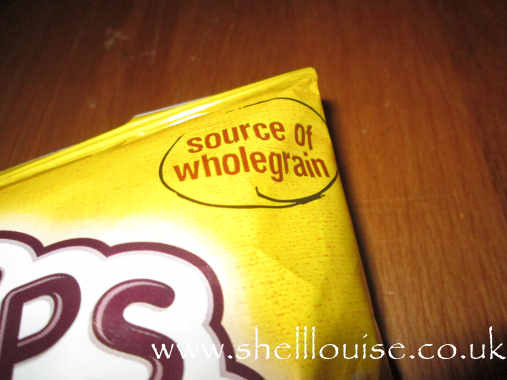 We both believe that in moderation, crisps are fine and once a week (sometimes not even that) is totally fine for them but I still sometimes wonder whether anyone who sees crisps in their lunches is automatically judging me/us because there are so many stories in the news about packed lunches at the moment. 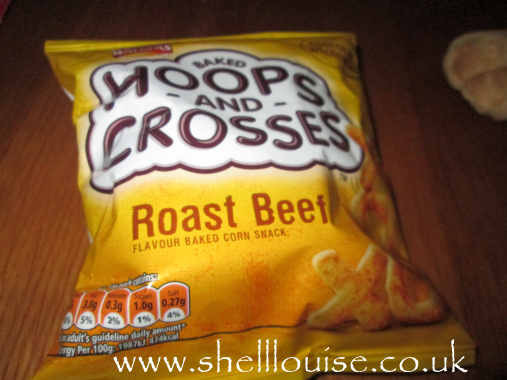 When I found that Walkers now make Baked Hoops and Crosses, which are made with 56% wholewheat, I was really pleased that I’d now be able to let them have crisps in their lunchboxes (still only occasionally!) without feeling guilty! We received a packet of roast beef flavour and all who tried them (we forgot to save one for daddy to try and he wasn’t best pleased! Ooops!) thought they were delicious. They were packed full of flavour. Even Kaycee, who isn’t a fan of meaty flavour crisps usually, thought they were lovely, although she did say she wished they’d sent prawn cocktail instead but was glad they didn’t send salt and vinegar (we’ve got loads of salt and vinegar crisps from multipacks because everyone chooses the other flavours first and we’ve told them they have to now eat the salt and vinegar before we open anymore packs!). As each bag is only 85 calories, they’re great snacks for Aiden and myself as well; we’re both doing Slimming World and are always on the look out for low calorie snacks. 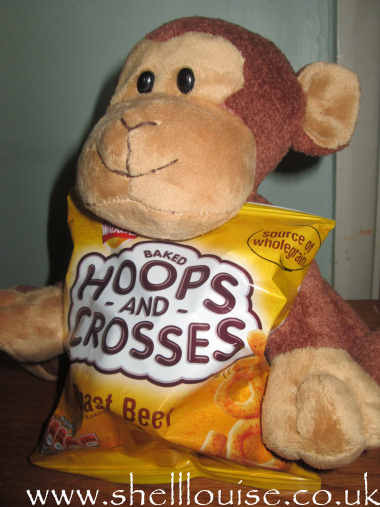 The girls would like to thank Walkers for the ‘oh so cute’ monkey that arrived with our crisps; I have a feeling there’s going to be a little arguing going on as to who’s going to sleep with him first! my journal daily. I'd like to start a blog so I can easily share my experience and feelings online. Please let me know if you have any recommendations or tips for brand new aspiring bloggers. Thankyou!